BiggerBooks.com is the premier online bookstore for customers wanting to find popular as well as hard-to-find titles at competitive prices. We are committed to offering quality products at a great price along with a superior customer experience. Becoming a BiggerBooks.com affiliate will empower you to turn your site traffic into a powerful income-generating tool. Linking to BiggerBooks.com directs your visitors to a safe and user-friendly bookstore designed to optimize conversions and ultimately, your bottom line. Offer not eligible on purchases made with coupon or discount codes that are not found on this site. Offer not eligible on gift cards, gift certificates or any other similar cash equivalents. Miles may only be paid on the net value excluding Tax, surcharges and any additional costs such as shipping. Return purchases, disputes or unauthorized, fraudulent transactions, do not earn Points. Please also refer to retailers own Terms & Conditions before making your purchase and any additional purchase conditions stated here. Bellacor US Save Up To 40% On Select Livex Lighting, Plus Earn Free Shipping. Offer Valid 4/14-4/20. Shop Now! 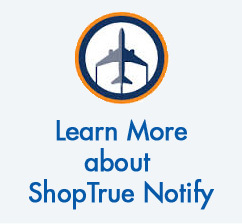 Become a member of TrueBlue now to earn points and get rewards. © Copyright 2019 Powered by Points.com/Collinson Latitude.